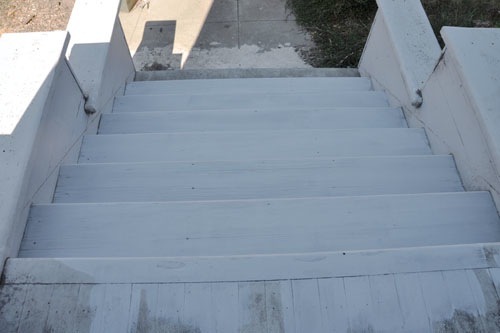 There's nothing really challenging about painting stairs. They're flat, they're arranged in front of you, no ladders needed. The primer coat went on very nicely, in between my stripping a bazillion grapes off the stems and cleaning them, and then slipping all the skins off. The top coat was even faster, as top coats are. 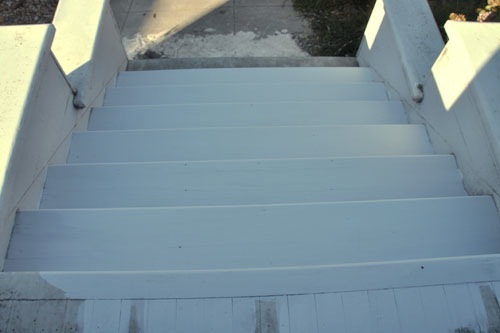 I am still going to put yet another coat of paint on there, as soon as the heat wave that started when I took out a can of paint dies down. But they're looking pretty good. As is the jam. Once again I made more jam than really makes sense, and all I have left are pint jars (which I normally consider a bit large for jam). We will just have to cope. Do you have to take the skins off if it's jam? You don't necessarily have to take the skins off. The first batch I slipped skins off, cooked the pulp, de-seeded, then cooked everything together. The second batch I just cooked everything together then put it through the food mill. Both were good but the second batch was a lot easier to do. I had to improvise the recipe since all I had were grape jelly recipes. Sarah, there is no such thing as "too much" strawberry jam. 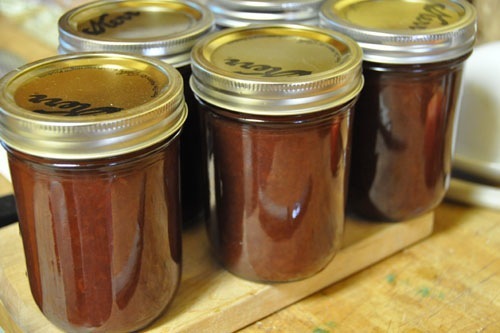 My mother passed away in the fall of 2008, and we're still eating her last batch of strawberry freezer jam! Awesome stuff.